I spent last evening trying to learn how to successfully back up our small trailer. Actually, I’m capable of backing it up just fine — getting it to go where I want it is another matter. I took it over to the big parking lot of a nearby school, a great place to practice — an area with plenty of room and lots of marked parking spaces. Over and over, I would look in my rear view mirror and mentally assign a specific space as my goal and each time things started out great. When, after about twenty feet I would get off track, my solution was to do a midcourse modification and instead just choose a different parking space as my target. I had no more success getting into that one. I’ve watched my husband back it up and he had instructed me how backwards it seems when you’re driving — that when you want the trailer to go left, you turn the car’s steering wheel to the right and vice versa. I understood it in theory but couldn’t seem to put it into practice. After about an hour of nearly jack-knifing the thing, I decided to call it a night. 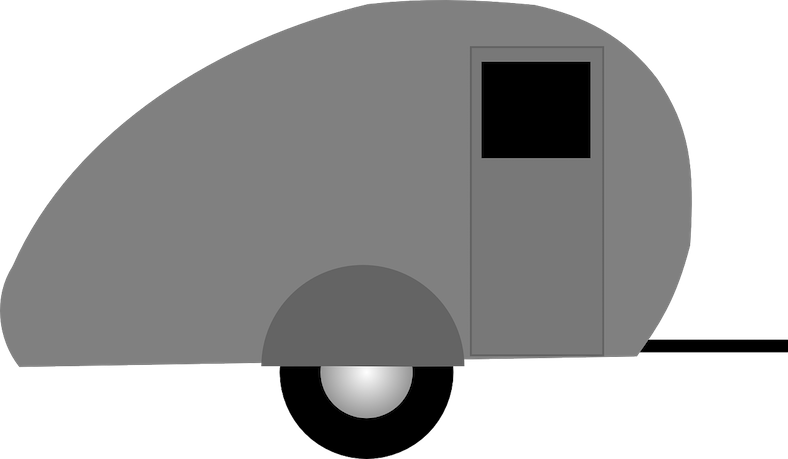 I determined that my husband must be mistaken, that there had to be more to it — so I came home and watched three YouTube videos with full-on demonstrations on maneuvering a small trailer. No matter what, the advice all came down to exactly the same thing that my husband had told me so off I went to try again, with no more success. When I got home and was futilely trying to back the trailer into my driveway, my neighbor drove past and rolled down his window so he could offer what I’m sure he thought was novel advice, “Turn the wheel in the opposite direction,” he said. Got it. I’ll try again tonight. Here’s something I was taught. It’s still hard to do, but…. Move the BOTTOM of the steering wheel in the direction you want THE BACK of the trailer to move. I’m still not very good at it myself, but maybe that will help. Good luck – LOVE the littler trailer! I’ll try that — thanks!